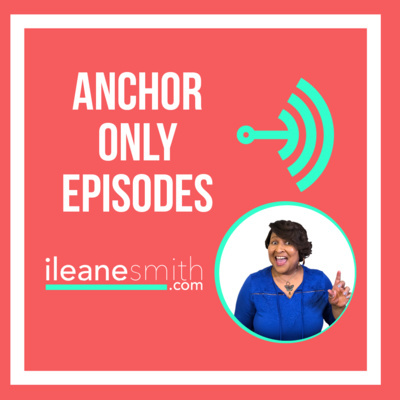 Welcome to the *Anchor Podcasting Academy* hosted by Ms. Ileane of ileanesmith.com. 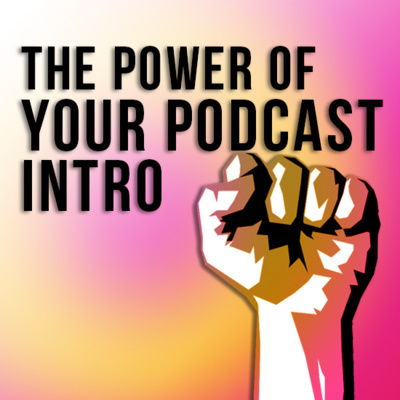 This show covers Anchor podcasting tips, and digital media tutorials that will inspire you on your podcasting journey. 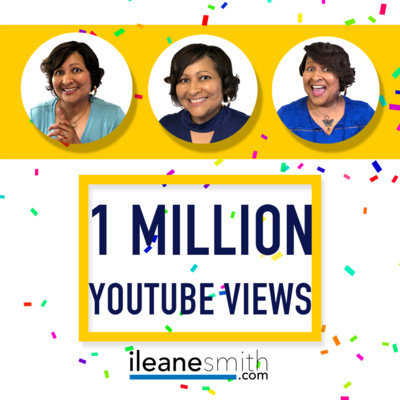 Search for @ileane on your favorite social media and live streaming platforms like YouTube, Instagram and Facebook Live! 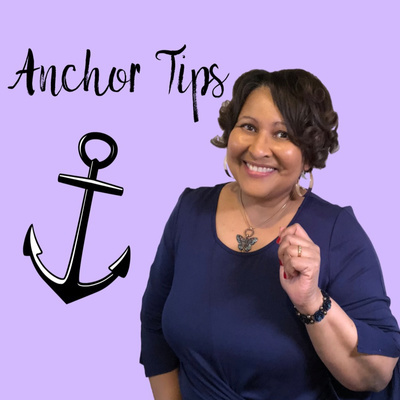 If you are ready to get started with Anchor as your podcast host, this episode will list the best reasons for using Anchor. I cover all of the latest features and at the end, I discuss the biggest downside of using a free podcast host. 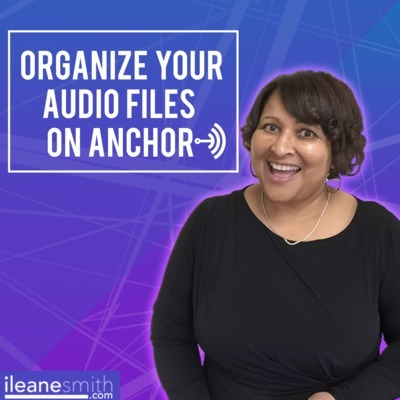 Find any gear mentioned in my Podcast Kit https://ileane.link/podcastkit Watch all of my Anchor video tutorials on YouTube https://ileane.link/anchortutorials You can connect with Ms. Ileane to continue the conversation on. Twitter twitter.com/ileane Instagram instagram.com/ileane Email me ileane.link/contact Leave me a voicemail ileane.link/voicemail Thanks for listening! 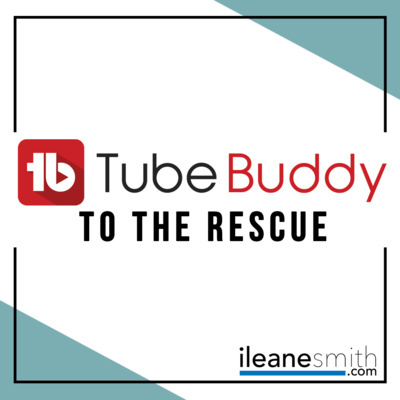 I'd like to help bridge that information gap that is standing between you and creating your best content ever! This episode is recorded in the BackPack Studio app with the Samson Q2U mic. 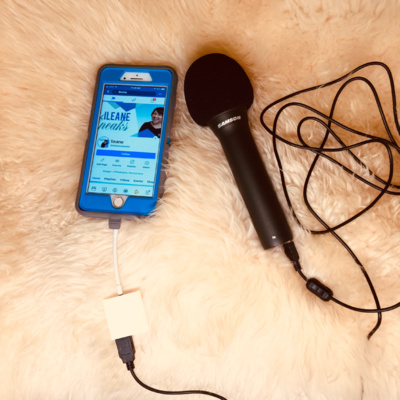 See these tools in my Podcast Kit https://ileane.link/podcastkit If you are frustrated with using mobile apps (including Anchor) to record remote interviews, check out Streamyard. You can click here to watch the YouTube tutorial. 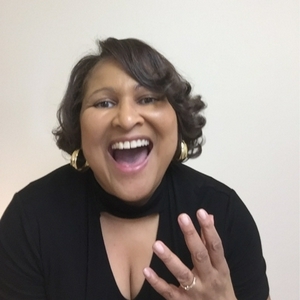 You can connect with Ms. Ileane to continue the conversation on. Twitter twitter.com/ileane Instagram instagram.com/ileane Email me ileane.link/contact Leave me a voicemail ileane.link/voicemail Thanks for listening! 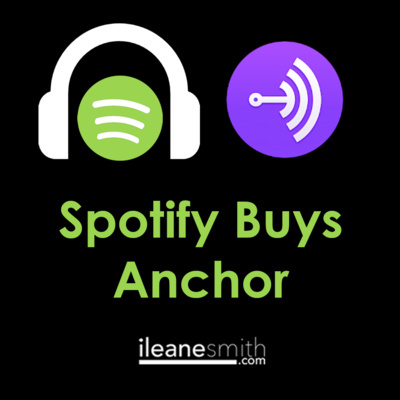 I'm absolutely thrilled that Spotify now owns Anchor and if you are a podcaster, you should be too! Watch the Twitter live video https://ileane.link/spotifybuysanchorlive You can connect with Ms. Ileane to continue the conversation on. Twitter twitter.com/ileane Instagram instagram.com/ileane Facebook https://fb.com/msileanespeaks Email me ileane.link/contact Leave me a voicemail ileane.link/voicemail Thanks for listening! Do you celebrate when you reach your goals? 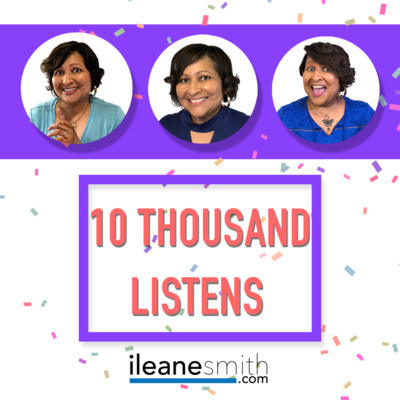 I'm taking the time to savor the moment and recapping the shows that helped me reach 10 thousand listens on Ms. Ileane Presents The Anchor Show. 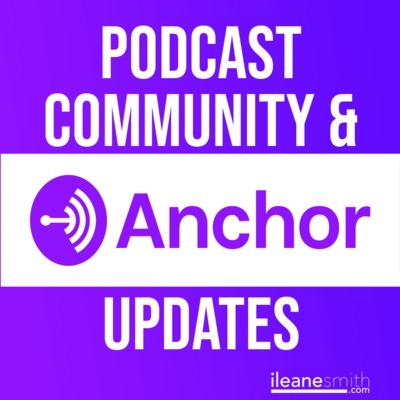 Here are the top most listened to shows: Tied for the #4 spot with 161 listens each (as of 1/25/19) are “How Anchor is Solving Podcaster’s Pain Points” dated 10/7/18 and “Anchor Introduces Smart Background Music” from 9/18/18. The #3 most listened to episode is from 1/17/18 with 176 listens. It’s by far one of my all-time favorite episodes because it’s all about the power we have as podcasters. This one is called “Podcasters CANNOT be Denied”. 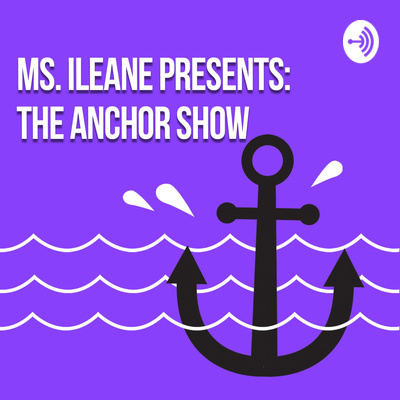 At #2 with 183 listens is "Introducing the New Anchor Course" from 3/21/18 And the all time favorite and most listened to episode with 199 listens is “Your Anchor Show is Now Listed on Spotify” from 7/14/18 You can connect with Ms. Ileane to continue the conversation on. Twitter twitter.com/ileane Instagram instagram.com/ileane Email me ileane.link/contact Leave me a voicemail ileane.link/voicemail Thanks for listening! One of the fun things we can do on social media today is ask our audience a question in a poll. We can ask, what’s their favorite color. We can find out if they like short videos or long videos! 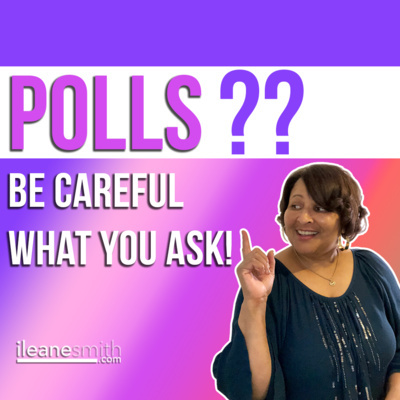 And more importantly, polls can be a lot of fun and they can increase engagement with our followers because everyone likes to voice their opinion! If you keep the poll short and simple enough as long as people see it they will probably vote one way or the other. That’s why yes or no polls work well! But there are times when polling our audience can get us into trouble. Find out why you need to be careful what you ask your audience on social media! Connect with Ms. Ileane to continue the conversation. Twitter twitter.com/ileane Instagram instagram.com/ileane Email me ileane.link/contact Leave me a voicemail ileane.link/voicemail Thanks for listening! 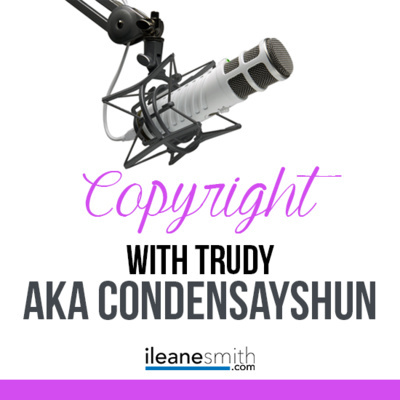 You are in for a special treat as I chat with the talented singer-song writer Trudy Newell aka @condendayshun from Sydney, Australia. Trudy has concerns about the music in Anchor's library and shares her experience with copyright issues. Follow Trudy at https://anchor.fm/ufr Topics discussed include: Anchor's history Spreaker live audio Podbean's expanded background track library Zoom recording YouTube's legal history with copyright Anchor version 2.0 and 3.0 Australian copyright changes This episode was recorded using Anchor's Record with Friends feature. Music by Andre Louis from andrelouis.com Connect with Ms. Ileane to continue the conversation. Twitter twitter.com/ileane Instagram instagram.com/ileane Email me ileane.link/contact Leave me a voicemail ileane.link/voicemail Thanks for listening! Technology is "Gettin In the Way"
We have been trained to depend on technology to help us accomplish our goals. 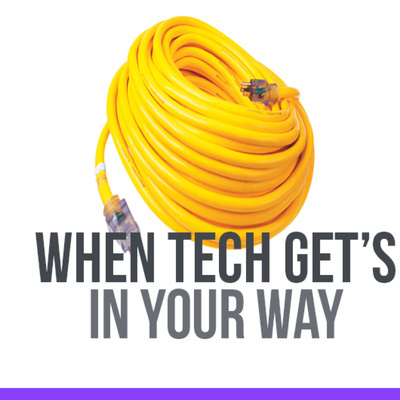 So what happens when the tech goes haywire? 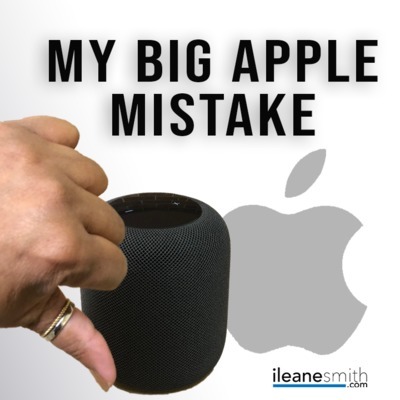 Listen to this episode to hear about some tech fails that happened recently. Maybe there are some that you can help with! Tool mentioned: Streamyard https://ileane.link/streamyard Connect with Ms. Ileane to continue the conversation. Twitter twitter.com/ileane Instagram instagram.com/ileane Email me ileane.link/contact Leave me a voicemail ileane.link/voicemail Thanks for listening! 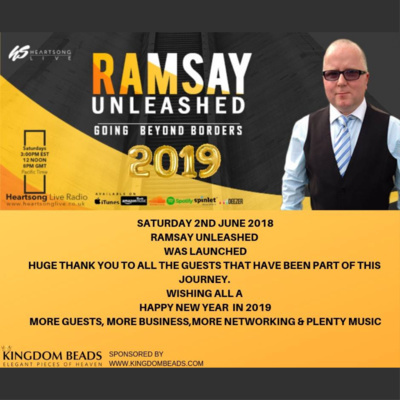 Fraser Ramsay is the host of Ramsay Unleashed Going Beyond Borders. In this short interview get introduced to Fraser and learn more about his travels from Scotland across borders. Listen to Ramsay Unleashed https://ileane.link/ramsayunleashed Fraser Ramsay on Twitter https://twitter.com/fraser6875 Fraser on Anchor https://anchor.fm/fraser-ramsay Connect with Ms. Ileane to continue the conversation. Twitter twitter.com/ileane Instagram instagram.com/ileane Email me ileane.link/contact Leave me a voicemail ileane.link/voicemail Thanks for listening! Podcast episodes can be published from desktop as "Anchor Only". 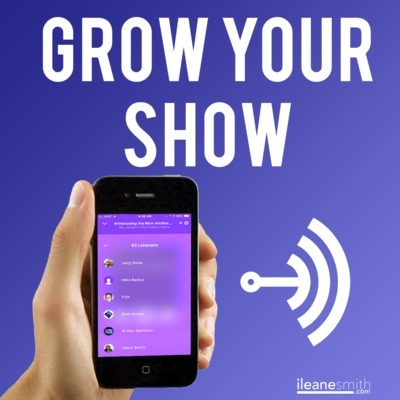 Use this feature when you want to get Call-ins and feedback from other podcasters before pushing your show out to the masses. 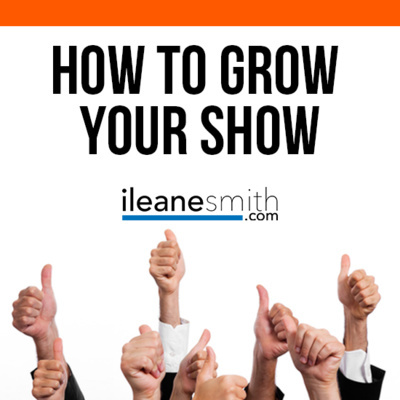 Get the full show notes: https://ileane.link/anchoronly Here's how you can connect with me to continue the conversation. * Twitter twitter.com/ileane * Instagram instagram.com/ileane * Email me ileane.link/contact * Leave me a voicemail ileane.link/voicemail Thanks for listening! Good news for those of us who love tech and love to explore new apps. If you happen have an iPad or an iPhone, there's a new iOS app for podcasters called the Backpack Studio App. 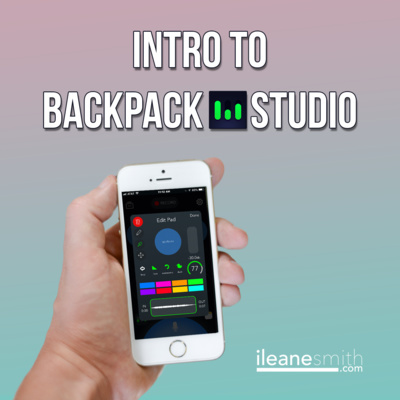 If you remember the Bossjock Studio you'll be glad to know that it's now called: Backpack Studio Get Backpack Studio for $9.99 https://ileane.link/backpackapp Have you downloaded this app yet? I'd love your feedback. Here's how you can connect with me to continue the conversation. * Twitter twitter.com/ileane * Instagram instagram.com/ileane * Email me ileane.link/contact * Leave me a voicemail ileane.link/voicemail Thanks for listening! 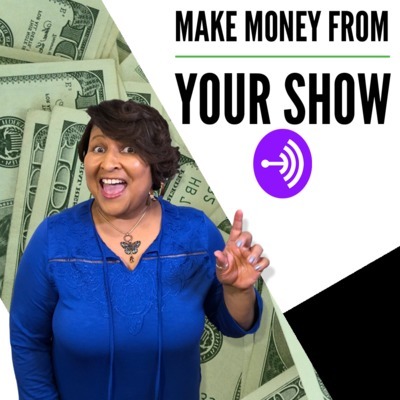 How much money can you expect to make from your podcast? If you have a small audience, at least now you have a fighting chance thanks to the Anchor Sponsorship program. In this episode I share my experience and why I think this is so important for podcasting as a whole. Have you ever got paid to podcast? I'd love your feedback. Here's how you can connect with me to continue the conversation. * Twitter https://twitter.com/ileane * Instagram https://instagram.com/ileane * Email me https://ileane.link/contact * Leave me a voicemail https://ileane.link/voicemail Thanks for listening! We can do so much with our Anchor profile bio. Put those 598 characters to good use and make some updates. 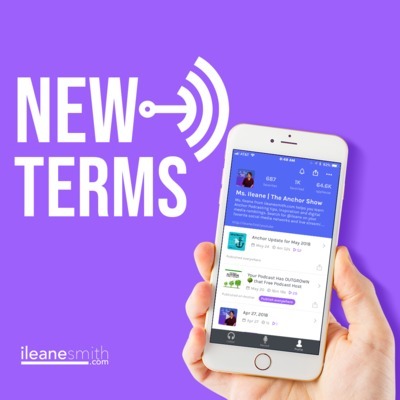 Learn more and connect with Ms. Ileane * Twitter https://twitter.com/ileane * Instagram https://instagram.com/ileane * Email me https://ileane.link/contact * Leave me a voicemail https://ileane.link/voicemail Thanks for listening! 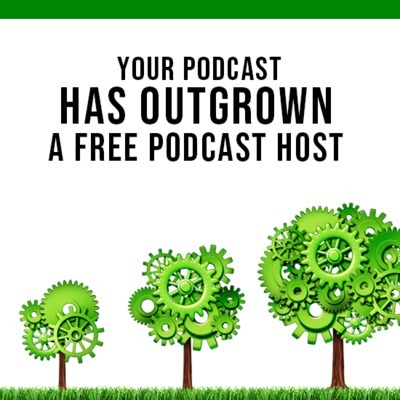 You started your podcast and now you are ready to get more listeners so you can grow your show. Here are some suggestions for how you can hone your craft. 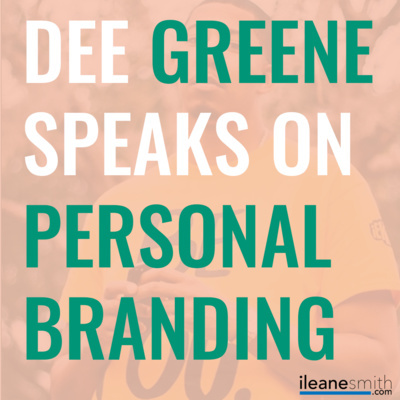 Facebook group mentioned: She Podcasts https://facebook.com/shepodcasts/ Udemy https://ileane.link/udemy Lynda.com Dave Jackson's School of Podcasting https://ileane.link/sop Learn more and connect with Ms. Ileane * Twitter https://twitter.com/ileane * Instagram https://instagram.com/ileane * Email me https://ileane.link/contact * Leave me a voicemail https://ileane.link/voicemail Thanks for listening! 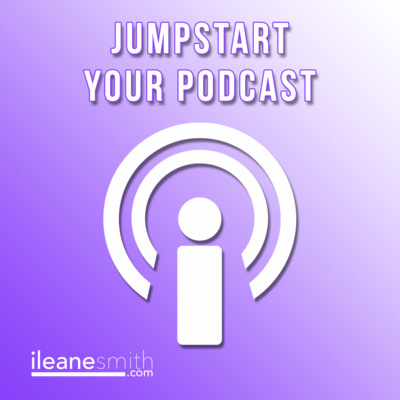 Your podcast intro sets the tone for what is to come from your episode or your show. Take the time to create an engaging intro that matches your voice and your content. 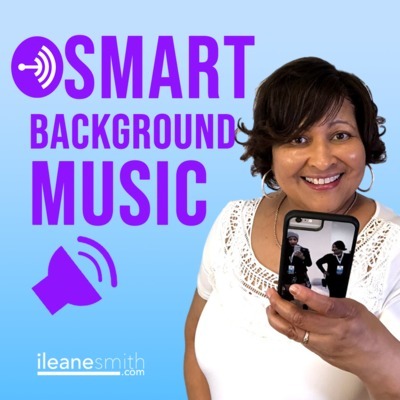 Get: "DJ drops, podcast intros, radio jingles, commercials and so much more..." from Music Radio Creative https://musicradiocreative.com/ Learn more and connect with Ms. Ileane * Twitter https://twitter.com/ileane * Instagram https://instagram.com/ileane * Email me https://ileane.link/contact * Leave me a voicemail https://ileane.link/voicemail Thanks for listening! 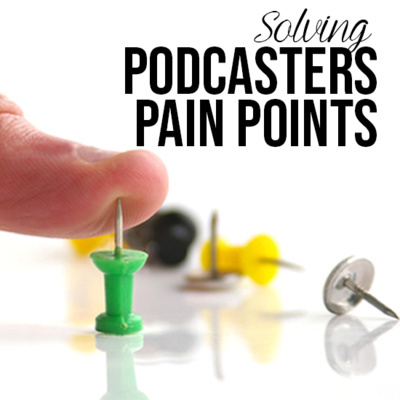 As podcasters we have some very unique pain points, and Anchor seems dedicated to solving those issues. Their latest feature gives podcasters the ability to create cover art inside the app or from desktop, using the gorgeous royalty free images from Unsplash. Read the blog post: https://ileane.link/painpoints Learn more and connect with Ms. Ileane * Email me ileane.link/contact * Leave me a voicemail ileane.link/voicemail * Twitter twitter.com/ileane * Instagram instagram.com/ileane Thanks for listening! In this episode, Red Sable expresses her concerns about Listener Support and the changes she would need to make to content of her Anchor show format. Kimberly Bonner wants know how to find the Listener Support button in the Anchor App. 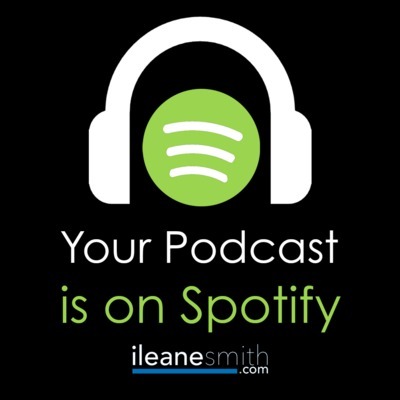 Watch the step-by-step tutorial and share it with your listeners ➞ https://ileanesmith.com/listener-support/ I also share a tip about promoting your podcast from Spotify to Instagram Stories! How can we hold on to some of that "community" we started back in Anchor V2? We need to look at social media hubs like Facebook, Twitter, Instagram and even Google+ https://www.facebook.com/groups/AnchorsAwave/ 250 members https://www.facebook.com/groups/269662786903674/ 1,900 members https://www.facebook.com/groups/podcastmovement/ 15,000 members https://plus.google.com/u/0/communities/112090461988424747667 25 members Find out about the Podcast-a-thon hosted by Rembert Browne to benefit Advantage Kids https://anchor.fm/advantagekids Rembert's conversation with Mike Mignano CEO of Anchor https://ileane.link/podcastathon Shout out to Listener Supporters Bernie Goldbach https://anchor.fm/topgold Patricia A Murray https://anchor.fm/patriciaAmurray The latest updates to the Anchor app [like Trimming, Splitting, Scrubbing and more] for August 2018 through version 3.6.1 (2). Trim, split and reorder your recordings. 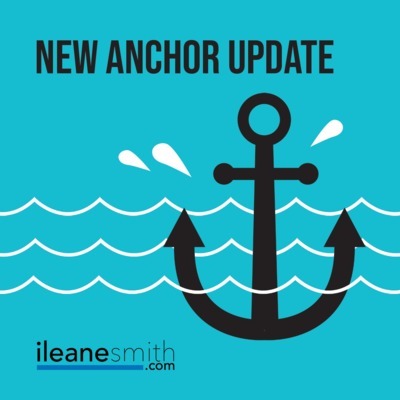 You can support this podcast here ➞ https://ileane.link/support On August 9, 2018 Anchor released a new option for podcasters to get paid for their podcasts with Listener Support. This option can be turned on by U.S. based podcasters and allows listeners from around the world to pay $.99, $4.99 or $9.99 monthly. 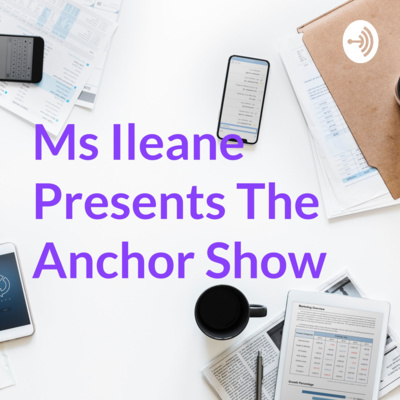 Read Anchor's blog post ➞ https://ileane.link/listenersupport Learn more and connect with Ms. Ileane * Twitter https://twitter.com/ileane * Instagram https://instagram.com/ileane * Email me https://ileane.link/contact * Leave me a voicemail https://ileane.link/voicemail Thanks for listening! Time to move upward and onward with your show. Besides, don't you want to take ownership of your content? Sure you do! Digital Media covered in this episode include: Join the Google Plus Community http://ileane.link/anchorpodcasters Watch my demo of the new Instagram Filter called FOCUS http://ileane.link/focusdemo Follow my Instagram Stories https://instagram.com/ileane Visit http://unsplash.com for royalty free images Watch my live streams: YouTube http://ileane.link/youtube Twitch http://twitch.tv/IleaneSmith Facebook http://facebook.com/MsIleaneSpeaks And more! Thanks to Spidey Hec and Tim Time for the cool intros. Introducing Camari Ellis, Anchor live stream tutorials, what's happening with Anchor videos, can you hear Anchor applause and a Spotify Update. 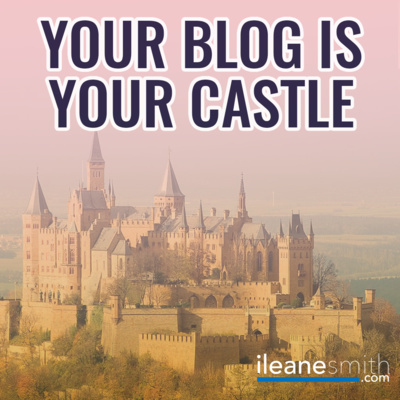 Learn more and connect with Ms. Ileane * Email me https://ileane.link/contact * Leave me a voicemail https://ileane.link/voicemail * Twitter https://twitter.com/ileane * Instagram https://instagram.com/ileane Thanks for listening! Dr. Dan from AnchorTalk just finished a 24 hour Talk-A-Thon all about Version 3 of ANCHOR.FM! Join us for a 15 minute recap and debriefing. Now that Anchor is more focused on podcasting my interest in listening to the 30 second music clips has diminished. Have your listening habits changed as well? 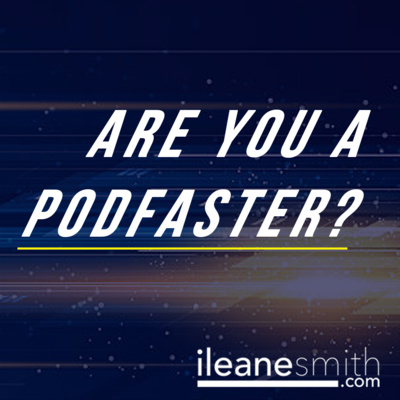 Are You PodFasting in 2018? A question came in from Simonettha, another Anchor user, who wants to know what I would change to make Anchor 2.0 a better platform for podcasters. Shortly after this episode aired Anchor released version 3.0. Listen in to see if anything from my wishlist was adopted by Team Anchor. I'll give you a hint = the "24 hour time-bomb" exploded! 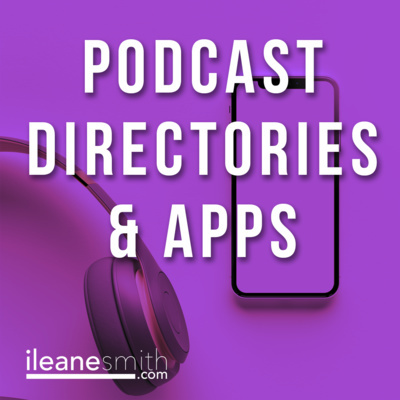 An easy way to get your Podcasts heard by more listeners is to list in podcast directories. In this episode you will also hear a question that I called into The Feed which is the Official Libsyn podcast hosted by Elsie Escobar and Rob Walch. Here's how you can connect with me to continue the conversation. * Twitter https://twitter.com/ileane * Instagram https://instagram.com/ileane * Email me https://ileane.link/contact * Leave me a voicemail https://ileane.link/voicemail Thanks for listening! 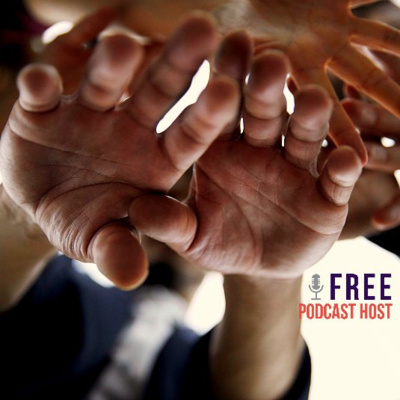 In this episode I talk about the power of spreading your message through podcasting. Podcasting is a medium that gives us freedom to speak our minds. I double dare anyone to TRY tell me what I can and cannot say on my show. After all, that is the whole point of having a podcast! Connect with Ms. Ileane to continue the conversation. Twitter twitter.com/ileane Instagram instagram.com/ileane Email me ileane.link/contact Leave me a voicemail ileane.link/voicemail Thanks for listening! 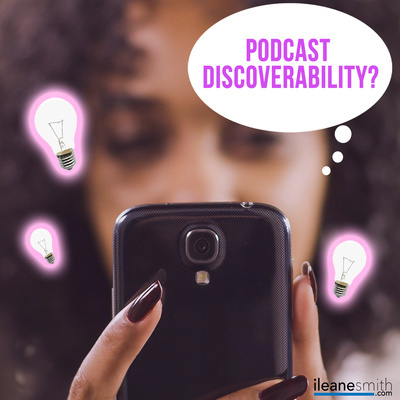 In this episode we discuss this article: Do Podcasts Have a Discoverability Issue? is an article from Jacobs Media http://jacobsmedia.com/do-podcasts-have-a-discoverability-problem-we-asked-leaders-in-the-space/ Quotes from: Tom Webster of The Marketing Companion Edison Research https://www.edisonresearch.com/ Elsie Escobar Community Manager, Libsyn https://libsyn.com Co-founder, She Podcasts https://shepodcasts.com Connect with Ms. Ileane to continue the conversation. Twitter twitter.com/ileane Instagram instagram.com/ileane Email me ileane.link/contact Leave me a voicemail ileane.link/voicemail Thanks for listening! 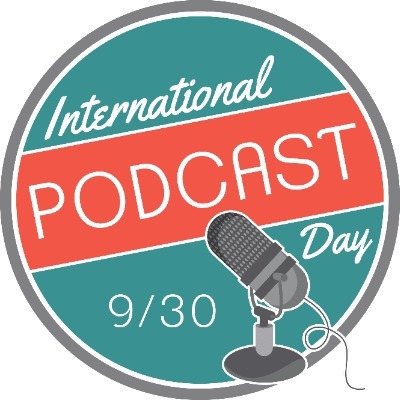 Is PodFasting a thing? It sure is and you can do it on Anchor I’ll show you how. I’ll also share some affiliate marketing news. 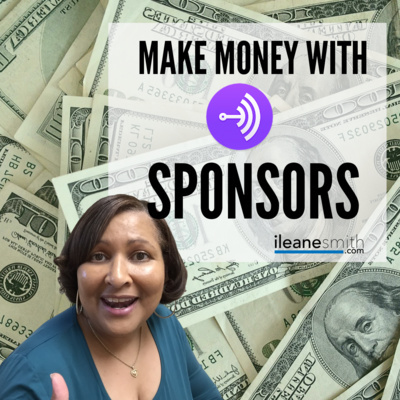 Learn more and connect with Ms. Ileane * Tweet with me on Twitter https://twitter.com/ileane * Follow me on Instagram https://instagram.com/ileane * Email me https://ileane.link/contact * Leave me a voicemail https://ileane.link/voicemail Thanks for listening! 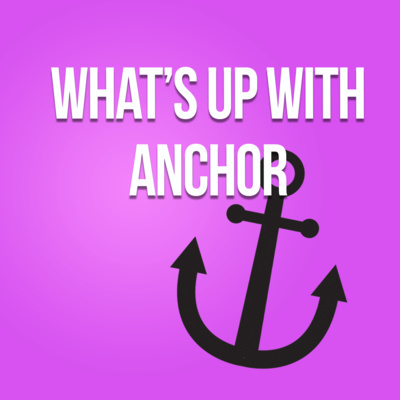 How Did You Find Anchor? Everything from where to get your RSS feed to why using anchor is not always the best way to go! Learning how to listen to podcast and make phone calls in the Acura RDX 2015 introduces new technological challenges to my day! The Amazon Echo Dot has a hard time saying my name but Alexa has no problem telling Halloween jokes! 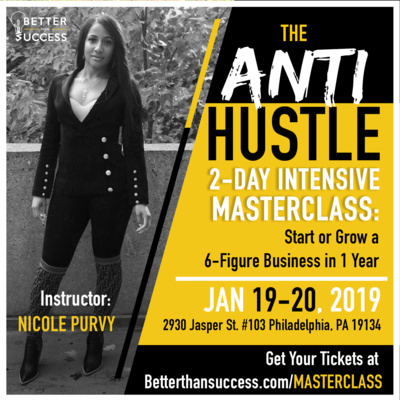 In this short interview you'll meet my daughter Nicole Purvy, author of Anti Hustle: Start a six-figure business in one year https://theantihustlebook.com Special note: Nicole is hosting the Anti Hustle Masterclass. Get details here → https://betterthansuccess.com/masterclass Here's how you can connect with me to continue the conversation. * Twitter twitter.com/ileane * Instagram instagram.com/ileane * Email me ileane.link/contact * Leave me a voicemail ileane.link/voicemail Thanks for listening! 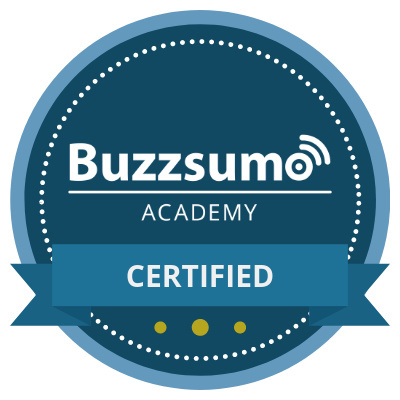 Buzzsumo is a content marketing research and curation tool. 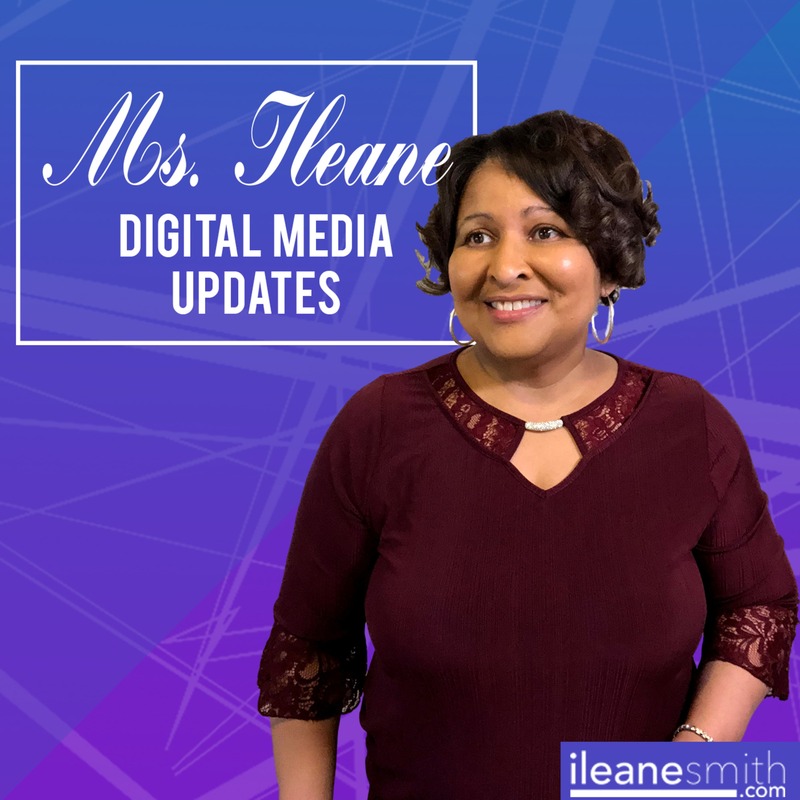 Connect with Ms. Ileane to continue the conversation. Twitter twitter.com/ileane Instagram instagram.com/ileane Email me ileane.link/contact Leave me a voicemail ileane.link/voicemail Thanks for listening! 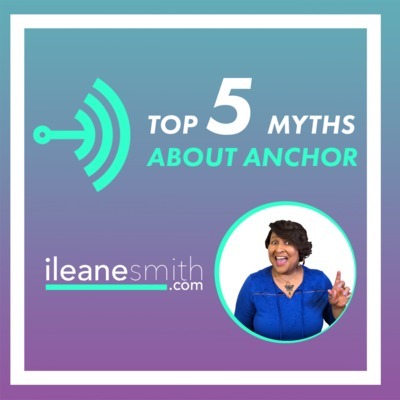 In this episode I answer questions about YouTube live and how I create Anchor segments from my computer ⚓️ Learn more and connect with Ms. Ileane * Email me https://ileane.link/contact * Leave me a voicemail https://ileane.link/voicemail * Twitter https://twitter.com/ileane * Instagram https://instagram.com/ileane Thanks for listening! Live streaming on YouTube, Facebook and much more! What is the best SEO plugin for WordPress and where do you start with blogging ideas. What is the future course of blogging? Will blogs transform to keep up with the pace of technology? How can blogging attract the next generation of content creators? Should we use the background music on our Anchor podcast or not and my thoughts about what makes a real thought leader - Including commentary from Brian Fanzo. What is it like to be a patron on Patreon. What are the perks and the benefits.